In this program, Bessel van der Kolk and others examine how dissociation functions as a defense against overwhelming stress, how the mind processes traumatic events, and how such traumatic memories may be stored as somatic sensations, behavioral enactments, nightmares, and flashbacks. Child abuse survivors describe their experiences of dissociation and memory retrieval. Released 1993. For a description of this condensed version for clients, see Videos for Survivors. 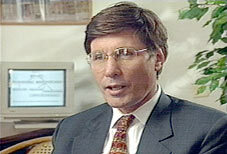 Bessel van der Kolk, MD is Professor of Psychiatry at Boston University, and Director of the HRI Trauma Center. He is author of Psychological Trauma (1987), published by the American Psychiatric Press. His most recent book is Traumatic Stress: The Effect of Overwhelming Experiences on Mind, Body and Society (1996, Guilford). Catherine Ayoub, RN, EdD, is Assistant Professor of Psychiatry at Harvard Medical School, and is a counseling and consulting psychologist in childhood development, trauma, and violence. Elizabeth Rice-Smith, MDiv, ThM, is a staff psychologist for the HRI Trauma Center, specializing in assessment and treatment of traumatized children, adolescents, and adults. Renee Brant, MD is a psychiatrist specializing in child sexual abuse, and founder of the Sexual Abuse Treatment Team at Childrens Hospital in Boston. She also consults and performs evaluations for legal cases. Yael Danieli, PhD is in private practice as a clinical psychologist in New York. She is Director of the Group Project for Holocaust Survivors, and is Director of Psychological Services for the Center for Rehabilitation of Torture Victims. The 29-page trainer’s guide includes objectives, reproducible outlines for note-taking, review and discussion questions, a resource list, and a short summary paper, described below. Ever since peoples responses to overwhelming experiences have been systematically explored, researchers have noted that a trauma is stored in somatic memory and expressed as changes in the biological stress response. Intense emotions at the time of the trauma initiate the long-term conditional responses to reminders of the event, which are associated both with chronic alterations in the physiological stress response and with the amnesias and hypermnesias characteristic of posttraumatic stress disorder (PTSD). Continued physiological hyperarousal and altered stress hormone secretion affect the ongoing evaluation of sensory stimuli as well. Although memory is ordinarily an active and constructive process, in PTSD failure of declarative memory may lead to organization of the trauma on a somatosensory level (as visual images or physical sensations) that is relatively impervious to change. The inability of people with PTSD to integrate traumatic experiences and their tendency, instead, to continuously relive the past, are mirrored physiologically and hormonally in the misinterpretation of innocuous stimuli as potential threats. Animal research suggests that intense emotional memories are processed outside of the hippocampally mediated memory system and are difficult to extinguish. Cortical activity can inhibit the expression of these subcortically based emotional memories. The effectiveness of this inhibition depends, in part, on physiological arousal and neurohormonal activity. These formulations have implications for both the psychotherapy and the pharmacotherapy of PTSD.